Genuine PELI Case 1120 in black. Had very light use in the past but in excellent condition. Comes with foam insert. Peli Case 1620, very good condition. Flight case. Peli Case 1620, very good condition. . Condition is Used. All hinges, latches, wheels are in good condition. 6 available. 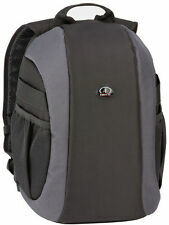 F-Stop Tilopa Camera Bag c/w Medium Pro ICU. Condition is Used. Dispatched with Royal Mail 1st Class. I have switched to a mirrorless system and all my Canon related gear has either been sold or is in the process of being sold. The original labels are also included in in the bag. I used it with a Canon 60D plus a Canon 100-400 zoom lens, but you should check it will fit before you buy. New listingCamera bag/ruck sac. Lowepro. Camera bag/ruck sac. Lowepro.. Condition is Used. Dispatched with Royal Mail 2nd Class. Has a few marks but nothing bad and is In very good hardly used condition. L 305 -W 270 -D 194. Both brides were very happy with pictures taken. 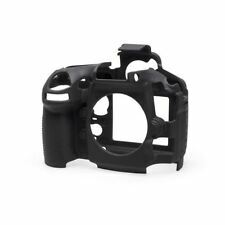 Canon strap for EOS 1X/1X7. Condition is Used. Dispatched with Royal Mail 2nd Class Large Letter. Laptop pouch fits 12", 13"W, 14" and most 15" and 15"W. Photo pouch Internal 31x16.5x17 cm. This protective case is waterproof and dustproof, rated IP67. Peli Case 1560 - in good condition as per the photos. The spec below is from the Peli website. Also included is a lid organiser. 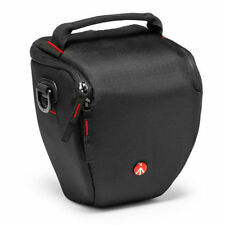 New listingVintage Hard Case Camera Equipment Bag . Black Leather Look. Inside in Excellent Condition. Size39 cm x 28 x 22 cm. Great Condition. Cash on collection. Explorer Case 7630 Peli Case. Condition is Used. Dispatched with Royal Mail 2nd Class. Exterior covered in water-resistant Cordura. Colour - All are blue / black - insides are orange. All have permanent marker identification numbers inside and out. Wear and tear - eg - fabric slightly worn, faded, scuffed, stained, small tears. Condition is Used. There are a number of inserts available for the 1550: the TrekPak divider system, standard padded dividers, an EMS kit or a pick 'n' pluck foam set. The case is also available in a range of colours. Vivitar Lens case. Rigid carry case with carry strap and stud fastener. Will your Lens fit in this Case. Internally, it will carry a lens approx 100mm by 70mm. The item is used but in good condition and has a black exterior with a black felt liner. Russian Box Case And Manual For Fed 4. Original Manual For Fed 4. Original Case & Strap For Fed 4. Original Box For Fed 4. Good condition for ge, see pics for actual item for sale. Pelican hard case. Condition is Used. Dispatched with Royal Mail 2nd Class. Hard Carry Flight Case Watertight Photography Tool Box. High strength, injection moulded waterproof case with pressure equalization valve and four heavy duty latches. A choice of tough gloss or powder coated paint for superior and chemical resistance are used. For professional photographers and hobbyists who like to shoot on location and in the elements, choosing adequate protection and a stable carry case is a top priority. There is a range of designs for different digital camera models, with some providing universal fit for ease of use. A protective camera case will help to prevent bumps and scratches, avoiding any potential damage to your equipment. Camera bags and cases come in several designs including hard cases, backpack styles and traditional shoulder bags, each suitable for DSLR/SLR/TLR cameras. 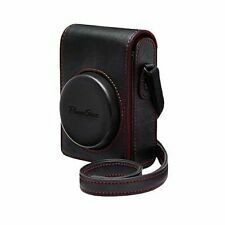 Dependant on your requirements, camera cases and bags offer a variety of protective features. Their design offers a snug but padded fit around expensive camera equipment and compartments can be moved or created for different sized cameras and accessories. For extra protection, there is a range of smaller bags, such as neoprene covers, that you can place over equipment before storing in your case. If you are carrying your camera equipment for long periods of time or prefer hands free storage, camera backpacks are a great choice. These cases provide protection and comfortable portability for a range of camera models, accessories and personal belongings. There are several compartments which can be made to fit varying sizes and some bags offer a tripod attachment system. 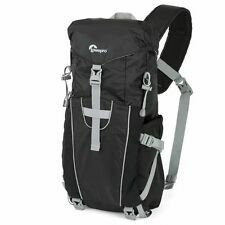 Camera backpacks also provide adjustable and breathable straps for extended wearability. For people looking for shockproof and watertight camera protection, a hard case offers quality protection for a range of uses. These cases are ideal for flights or travel protection and keep contents firmly in place with shock resistant foam inserts. They are generally made from heavy duty plastics which offer a watertight seal when closed. Hard cases are also suitable for other gadgets such as tablets, mobile phones and GPS equipment. AmazonBasics Convertible Rolling Camera Backpack .